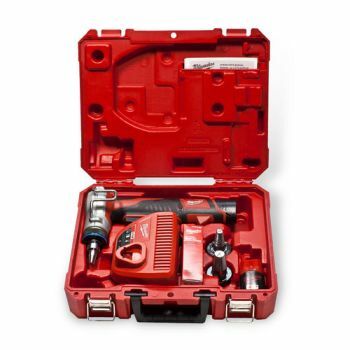 The M12 ProPEX Expansion Tool features an auto-rotating head for convenient one-handed operation. A compact right angle design makes installing tubing in tight locations fast and easy, and the quick cam mechanism delivers precise, continuous expansion for 3/8” to 1” ProPEX connections. Designed specifically for Uponor ProPEX, the M12 ProPEX Expansion tool is built to make effortless installations faster than other tools available. Heads Included 1/2", 3/4", 1"